About Mind Control – Constable BV. Milton Erickson (1901-1980) was “the best therapist that ever lived“. He was an expert in “non-verbal” behaviour. He learned when he was young that people could say “yes” and mean “no” at the same time. At that time he discovered that body language and tone of voice was telling another story than verbal language. The first part addresses the Unconsciousness. The second addresses the Mind. Erickson was able to tell two stories at the same time. One story was a fascinating story that had nothing to do with the problem of his patients. Within the first story he emphasized sentences with his tone of voice that contained suggestions that solved the problem. Later Erickson discovered there were other ways to deceive the Mind. The Mind needs a predictable future. When there is no predictability it searches all the “libraries” of known situations to find an appropriate action-pattern. When the mind is “extremely busy” the door to the unconsciousness of his patients opened and accepted what “nice guy” Milton was telling. Milton started to confuse his patients. When your Mind is confused you enter a trance-state or a dissociation. When you’re expectation is extremely violated you enter in a permanent trance-state (a dissociative trance disorder). Milton always confused his patients a little bit. Without even knowing they went into a trance and the suggestions of Milton always went through the Open Door. Milton used self-induced trance-states (auto-suggestion) to listen better to his patients. The Mind of some of his patients was very clever. It knew that Milton was using a Confusion-Trick and simply blocked the door. Milton was a genius in finding new tricks. He admired the problematic behaviour of his patients and started to seduce the mind. Later he learned he could also use psychological shocks and ordeals to achieve what his patients asked him to do. 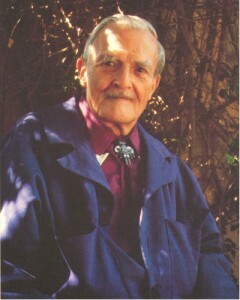 In his practice Erickson discovered that every human being was Unique. Therefore every therapy (therapeia means service) had to be a Unique Service to his Customers. “Each person’s map of the world is as unique as their thumbprint. There are no two people alike…no two people who understand the same sentence the same way…So in dealing with people try not to fit them to your concept of what they should be’. The Tricks of Erickson and other therapists (Satir, Perls) were investigated by Richard Bandler, John Grinder, Robert Dilts and other Scientists. They transformed the Dedicated Service of Milton Erickson into a Neuro-Linguistic Programming Language (NLP). NLP and other Mind Control techniques like EMDR are now widely used by all kinds of Influencers. It is not difficult to understand that some of the Influencers really don’t care about the Unique Needs of People. They want to program people to do the things they want them do. At this moment it is really important to know how you can distance Your Self and your Children (!) from the many Mind Control Techniques that are available. To protect the Mind the first thing we have to do it to protect the Body. The first level of protection against Mind Control is the shared Electro-Magnetic Field. Michael A. Persinger (The Neuropsychiatry of Paranormal Experiences) “When we applied specific complex magnetic fields many individuals felt a presence interact with their thinking” and “move in space” as they “focused their thoughts” on it”. “Many experiments indicated that the temporal morphology of the applied field, rather than the intensity, was responsible for these experiences“. You’re body is producing an Electro-Magnetic Field. This field interacts with other Fields. The Fields are created by The Earth, Mobile Phone Networks, TV’s, Electronic Clocks, PC’s and also other Human Beings. An External Electro Magnetic Field produces “a Felt Sense“. This “Felt Sense” generates an Image. Images can be related to Words and Sentences and (by the use of your memory) to Situations in the Past. Persinger was able to generate “frightfull” images like “the Man in Black“. Others were able to generate an experience of God. Some of the Frightfull Experiences were generated by an Electronic Clock that was situated very close to a Bed where a Girl was sleeping. It does not matter if the Electro-Magnetic Fields produce real or unreal images what matters is that they can be produced and if they can be produced someone or some thing will produce them. On the lowest level we communicate by producing fields with a certain structure, morphology or geometry. If you don’t want to be manipulated shield your body, your work-environment and your house for Electro Magnetic Pollution. This Pollution can be created by Systems (TV, The Electric Power System, GSM, …) and Humans who live in your Environment. When they don’t clean themselves properly (wash your hands with water!) they take the “Pollution” with them. The most important time to be shielded is when you Sleep. This is the moment you are Very Open to External Fields. The Most Important level of of protection against Mind Control is Language. The main trick of NLP and other Mind Control Techniques is to make use of Illogical reasoning. 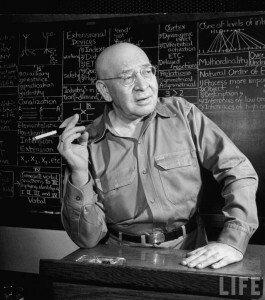 Alfred Korzybski (1879-1950) knew that human beings are limited in what they know by the structure of their languages. Human beings cannot experience the world directly, but only through their abstractions (“The MAP is not the territory“). Korzybski analyzed the Map Erickson was using to influence his patients. He looked for the Territory behind the Map. One of his many discoveries was another type of Logic. In this Logic Yes and No are not exclusive. He also investigated Time/Space. He saw that Humans are Time-Binding Structures. Humans are moving memories who pass information and knowledge between generations at an accelerating rate. Korzybski developed a method called General Semantics. General Semantics is “a Self-Defense Kit against manipulative semantic distortions routinely promulgated by advertisers, politics , religion and your own reasoning(!!!)”. . Beware of People who use Simple Sentences to explain a very Complex Reality. They want You to Use Their Map of Reality. Start Reasoning for Your Self and Develop Your Own Map. Share this Map with Others. Understand that the others use a different Map. Define the Map before you start to Discuss.